Scuffles broke out between police and ultra-Orthodox Jews at the Jerusalem Marathon on Friday, as Haredi men tried to disrupt the race to protest the arrest of a young man who had refused military service. Although police prevented a larger disturbance from taking place, 40 men were detained in Jerusalem near the marathon course, and a fight broke out towards the end of the race that was quickly dispersed by officers, Ynet news reported. No-one was reported to be seriously injured. On Sunday night, a Yeshiva (religious school) student named Yisrael Meir Toledano was arrested for refusing to appear at the IDF recruitment office, The Times of Israel reported. Toledano had been a follower of Rabbi Shmuel Auerbach, leader of an ultra-Orthodox group known as the Jerusalem Faction. Typically, Orthodox and Haredi Jews are given exemptions to Israel’s mandatory military draft, which applies to both men and women, but Auerbach’s followers refuse to even show up at the recruiting office to get their exemption. 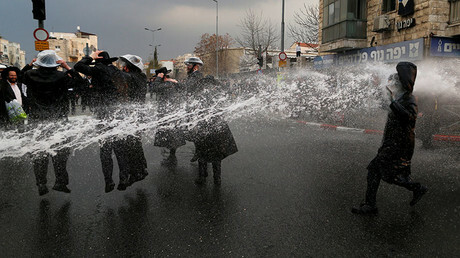 In response, the Haredi group staged a large-scale protest in Jerusalem on Friday, with the aim of disrupting the marathon. Orthodox Jews also believe that hosting a marathon in Jerusalem, which is a holy site, should not be allowed. Jerusalem Mayor Nir Barkat warned the protesters not to interfere. “We clarified to the leaders of the [Jerusalem] Faction that we view this very seriously and the marathon is not hostage to anything — not to terrorists and not to those who want to use it for their own purposes,” he told Army Radio, as quoted by the Times of Israel. 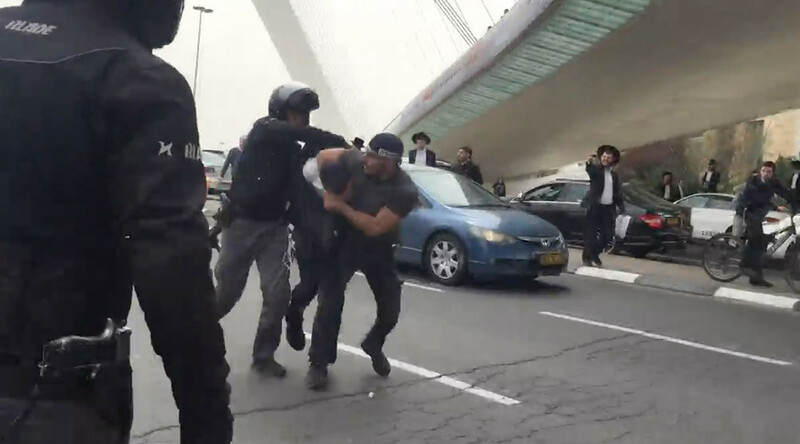 Police had been tipped off by a young man they arrested on Thursday and stopped three buses filled with ultra-Orthodox men on the highway between Tel Aviv and Jerusalem earlier in the day. But despite the fights and arrests, for the most part, the event went along smoothly. 30,000 runners, including around 3,500 athletes representing 65 countries, took part in the marathon. For the second time in a row, the winner of the marathon was declared to be 26-year-old Kenyan runner Shadrack Kipkogey, who finished with a time of two hours, seventeen minutes and thirty-six seconds.